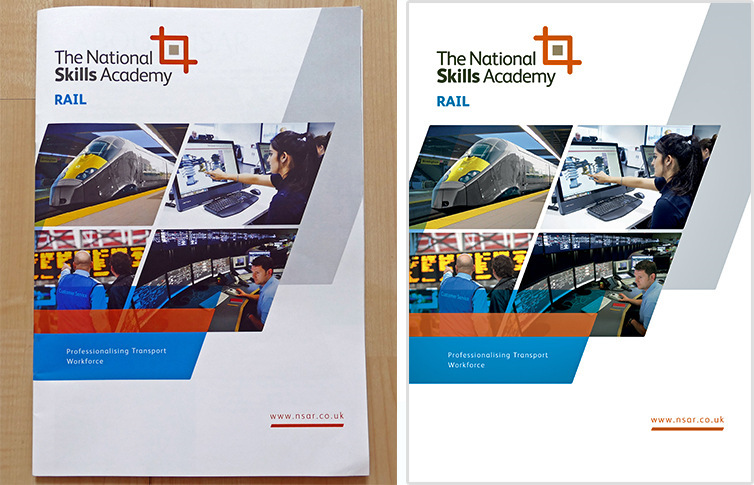 The National Skills Academy for Rail (NSAR) asked Primary Image to create a new, contemporary design for their printed material. NSAR have over 360 member organisations from across the rail sector, including train operators, engineering firms, training providers and universities. 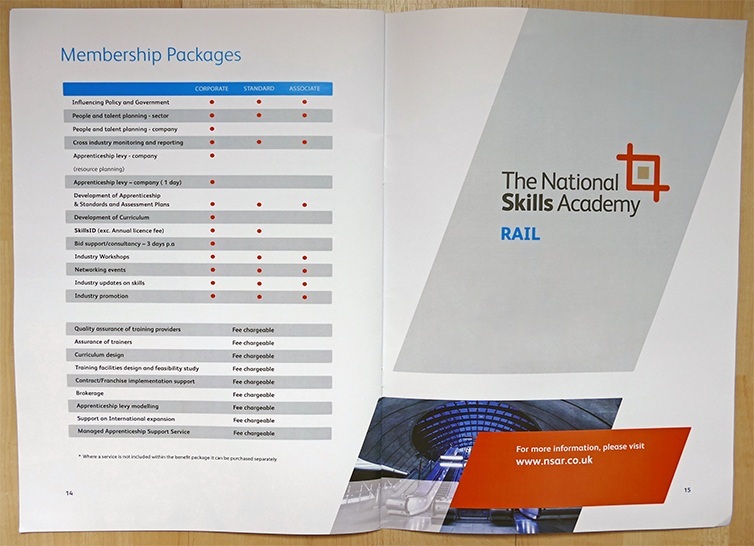 They are one of several academies within the National Skills Academy network, which was established by the government to create centres of excellence in different industries. After discussion with NSAR, we came up with this modern-looking brochure design. 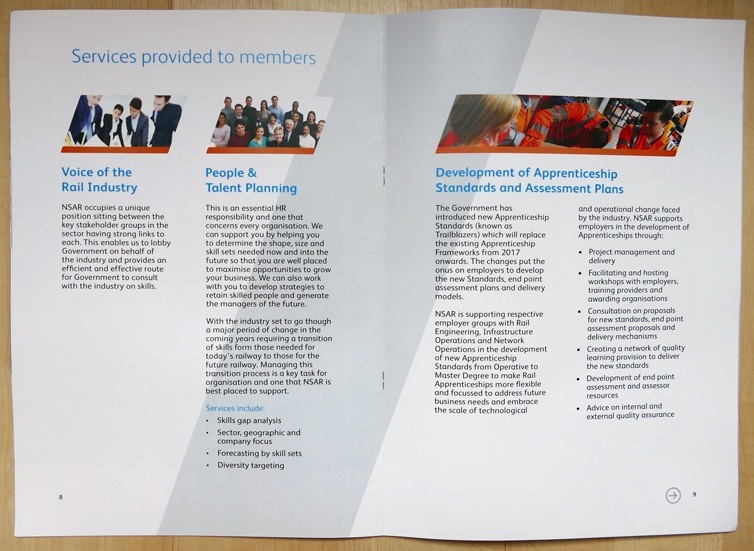 It uses a clean colour palette of orange, blue and grey, based on NSAR’s corporate brand. The brochure design also incorporates a slanted block concept, which gives an industrial feel, and is appropriate to NSAR’s audience. We also used a similar style when developing NSAR’s new website. The brochure comprises of sixteen stapled pages, with use of white space and clear headings, meaning it’s easy to read. Once finished, we provided NSAR with the original Adobe InDesign files, meaning they could use the template themselves in future. 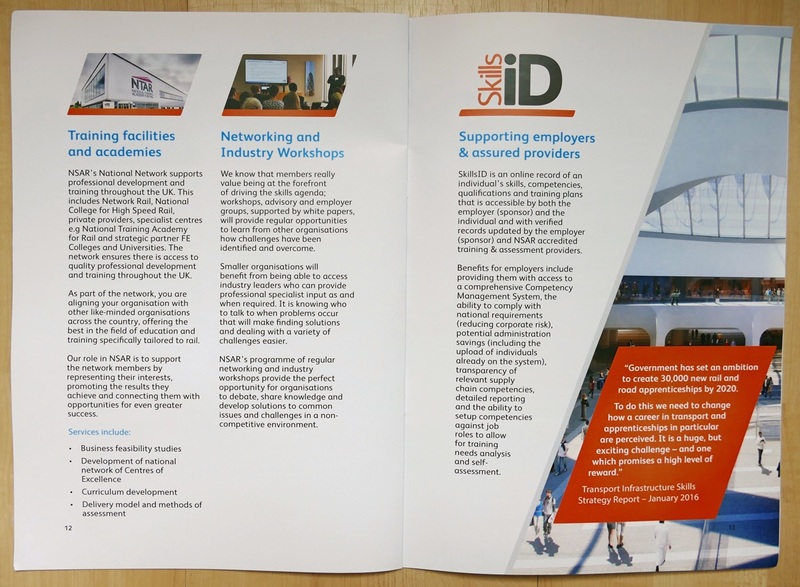 If you need a professional brochure design for your business or organisation, then we can help with both the artwork and print production. Primary Image has many years of experience in creating brochures that make your business look great! 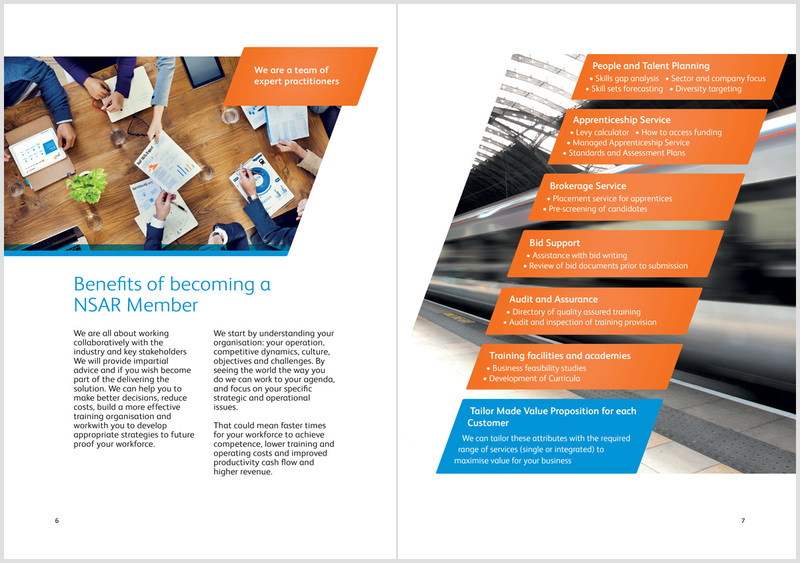 In particular, we’ve got a strong track record of working with organisations in the rail sector. Get in touch if you’d like to discuss your requirements. 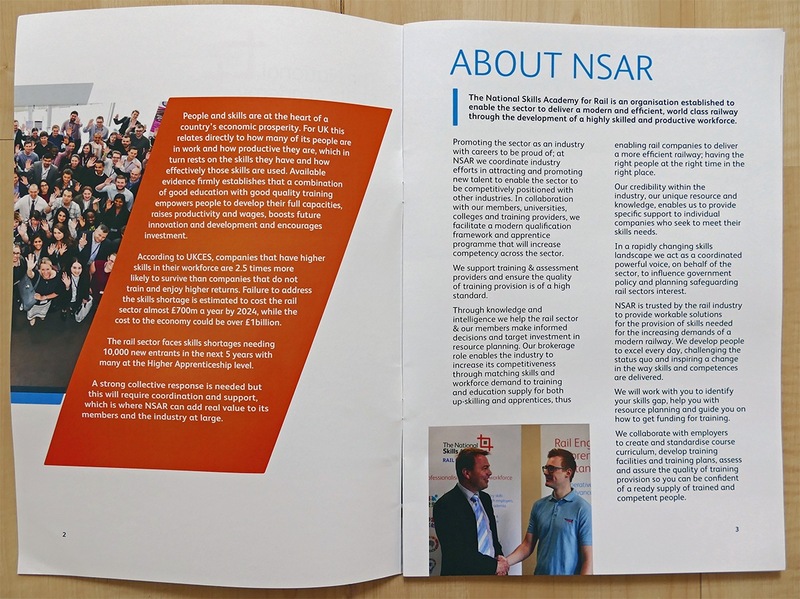 Also see the website we designed for NSAR.